Camp Icaghowan is committed to helping participants achieve their fullest potential in personal development, social growth and physical well-being, with an understanding of their natural environment. At Camp Icaghowan, we nurture character development through the values of caring, honesty, respect and responsibility. Our well-trained counselors lead quality programs that are safe, fun and enriching. Develop integrity, self-reliance and leadership skills. Build friendships that could last a lifetime. Enrich spirit, mind and body through challenging and fun activities. Gain an appreciation for the natural environment. Experience a sense of community by living with campers in small age-appropriate, single-gender groups (8–12 campers and two staff members). Camp Icaghowan’s 120 acres are located near Amery, Wisconsin. 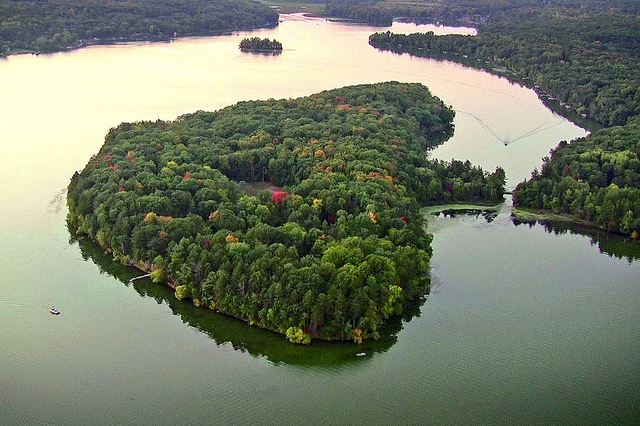 Our grounds include a 44-acre island on Lake Wapogasset. We host programming for kids and teens throughout the summer, as well as Memorial Day Family Camp and a special winter weekend camp. Programming ranges from general to specific interests, from beginner to advanced. Camp Icaghowan offers a stunning setting to host your organization’s conference or retreat—complete with teambuilding programs designed by our experienced staff. YMCA Camp Icaghowan is accredited by the American Camping Association and is visited every three years to ensure compliance with the ACA standards.